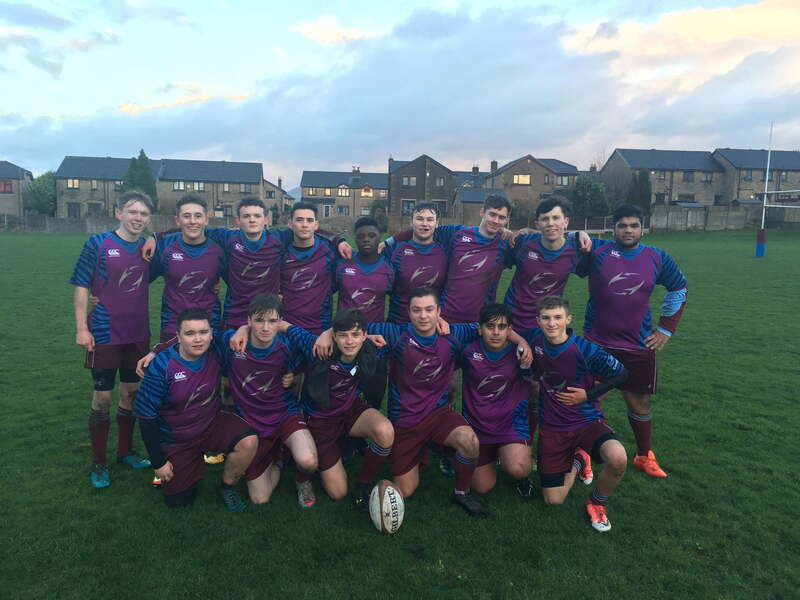 Unity’s Under 16 team traveled to St Augustine’s for their Lancashire Bowl semi-final match. In cold and wet conditions, Unity started against the wind having to defend against some fantastic St Augustine’s kicking, with full back Jonathan Sunter able to deal comfortably with all threats. This allowed Unity to demonstrate their attacking potential, with Roshane Hemmings crossing under the posts for a fantastic solo try which was converted by Adam Broxton. Josh Bailey-Tattersall then completed a driving run with an inch-perfect pass for Josh Waddington to score in the corner. St Augustine’s responded strongly however, slowly working their way up the pitch to earn themselves a converted try. End to end rugby then followed, before Unity’s strength at set pieces told with a line-out leading to a driven maul which was held up on the line. The following scrum led to Roshane Hemmings scoring his second to give Unity a 17-7 lead at the break. After the break, Unity’s forwards again showed their strength, with a driven maul allowing Maison McGowan-Doe to score between the posts. Jaden Haworth-Franklin added Unity’s fifth try of the day and left Roshane Hemmings with an easy conversion to further extend the lead. With the wind now behind, scrum half Adam Broxton was able to kick straight into the path of Jaden Haworth-Franklin for yet another try, which Adam then converted himself. As St Augustine’s began to tire, Unity drove on, with near misses for Jack Spencer and Hasan Imran. With the last play of the game, Maison McGowan-Doe drove across the line to allow Adam Broxton another conversion. This took the final score to 41-7 in Unity’s favour. For the second game in a row Unity passed the 40 point mark and will head into Wednesday’s final against Ormskirk with confidence, knowing that their toughest battle yet awaits them.